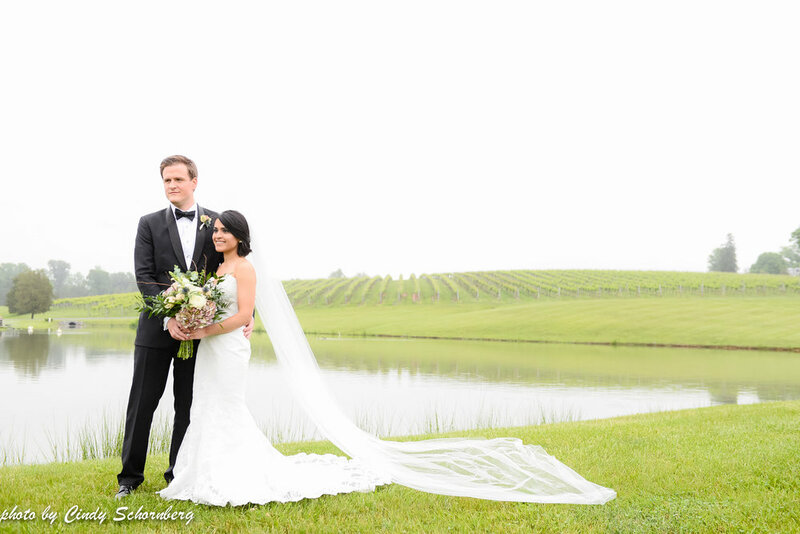 Congratulations to Mais & Ben who were married at Keswick Vineyards on Saturday, May 19th. Mais & Ben’s wedding had such an elegant feel to it with the bridesmaids in their pale grey dresses, holding their bouquet full of greenery, and the groomsmen matching Ben in their black tuxedos. Ben looked extremely dapper in his black tuxedo, but Mais, obviously, stole the show! All eyes were on her the entire night. She looked absolutely stunning in her strapless, lace dress. 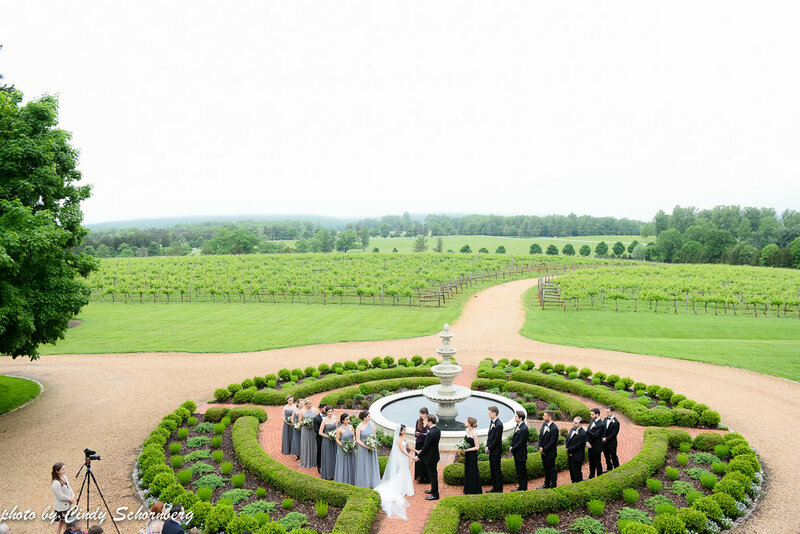 Mais and Ben decided to have their ceremony in front of Keswick Vineyards fountain, with the Blue Ridge Mountains and vineyards as their background. Mais looked beautiful as she made her entrance escorted by her mother and father. Nowadays, you see a lot of mixing of men and women in the bridal party. Instead of having a “best man,” Ben had a “best woman,” who was his sister. Alike the groomsmen, she wore black, but she wore a chiffon dress similar to the bridesmaids. 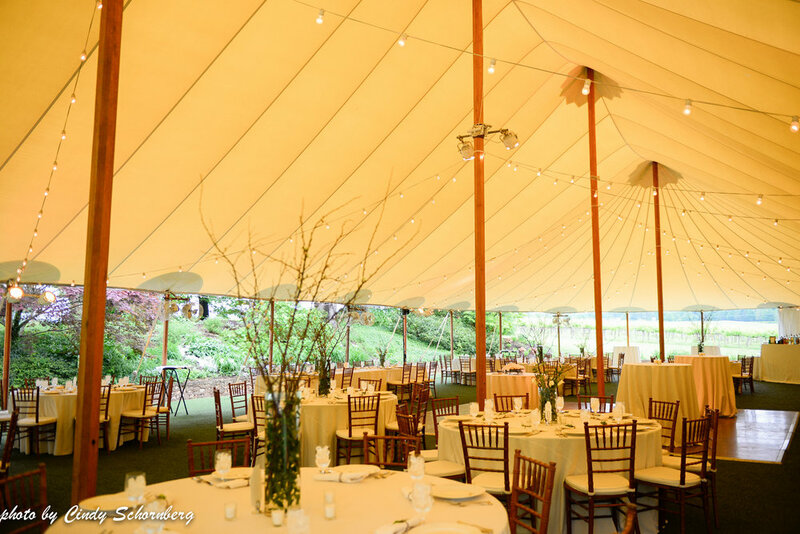 Although people are straying further away from “traditional” weddings, we love all of the fresh and contemporary ideas! Walking into the reception felt as if you were entering a forest. The centerpieces, rather than being composed of all flowers, had cherry blossom branches. The cherry blossom branches had a slight bud break, while white roses and other pieces of greenery comprised the centerpiece. This look was carried over onto their cake with a large sugar magnolia flower on it. I swear those sugar flowers looked so real that I had to touch them to confirm they were made of sugar versus the real thing. Amazing work by their baker! Mais had family that travelled across the Pacific Ocean, all the way from Yemen! With having a globe for guests to sign and a vintage suitcase to hold envelopes in, Ben and Mais did a great job of reflecting the travels that everyone took to be at their wedding. 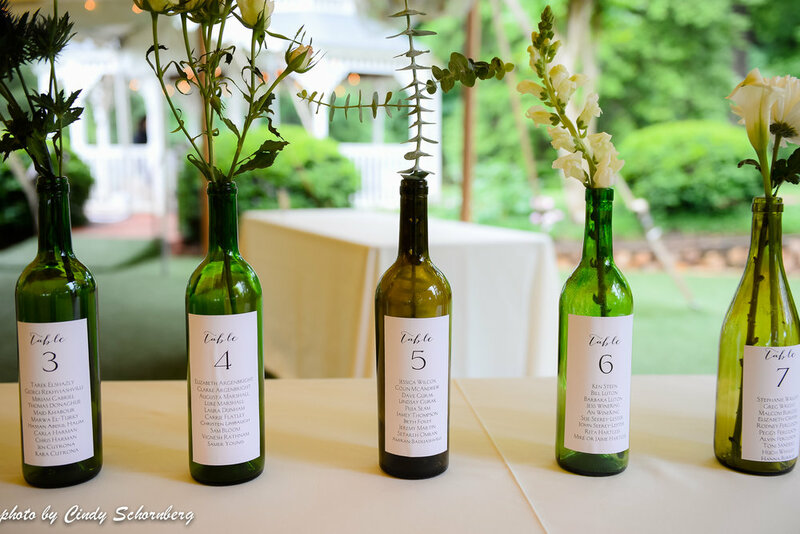 We also really liked the idea of using wine bottles to have each table number and guest seating information on. Very simple yet a great way to add a little flavor of a winery to the reception. Check out Mais and Ben's wedding video by Gardenia ! 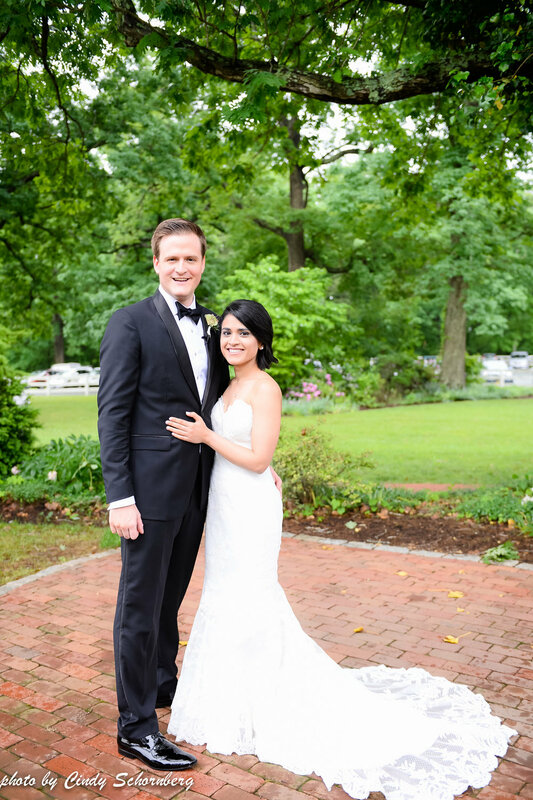 Check out Kate Greer's photography from their wedding in her blog. 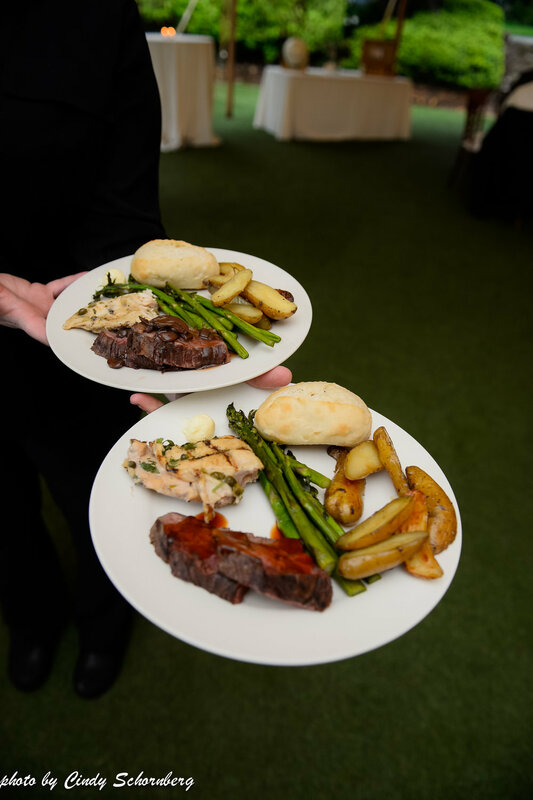 Event Planner: Keswick Vineyards, Caterer: The Local, Photographer: Kate Greer Photography, Videographer: Gardenia Weddings, Pastry Chef: Passionflower Cakes, Florist: The Faded Poppy, DJ: T.D. 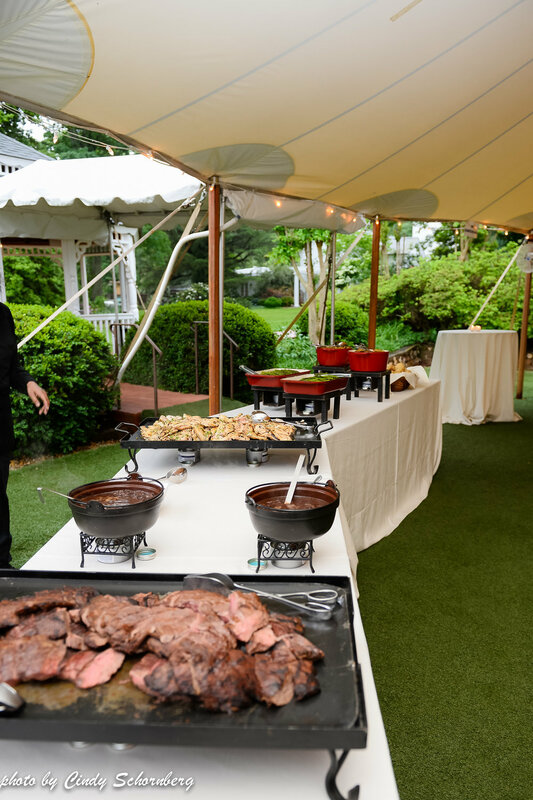 Layman of Sound Enforcement, Musicians: The Madison Trio, Hair and Makeup: Kate Newman, Officiant: Claire Frances, Transportation: Camryn Limousine, Rentals: MS Events, Lighting: Skyline Tent Company. 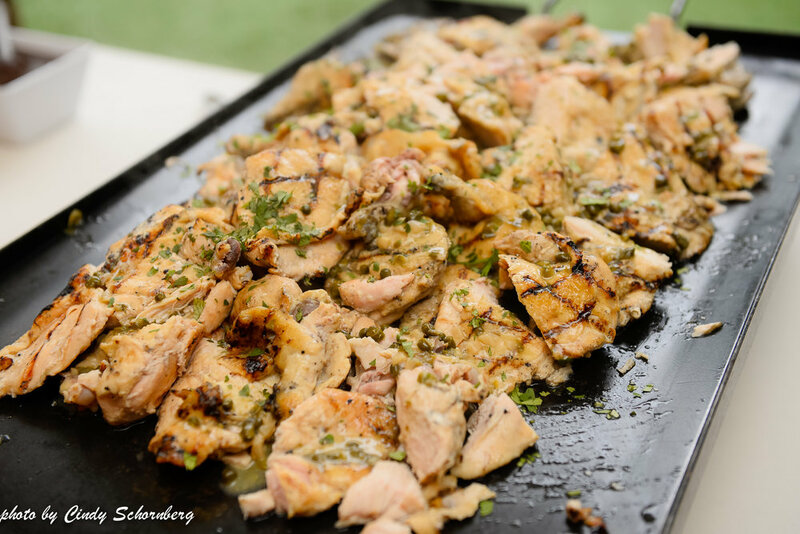 The photos in this blog were taken by Cindy Schornberg. To see Kate Greer's Photography see the link above.